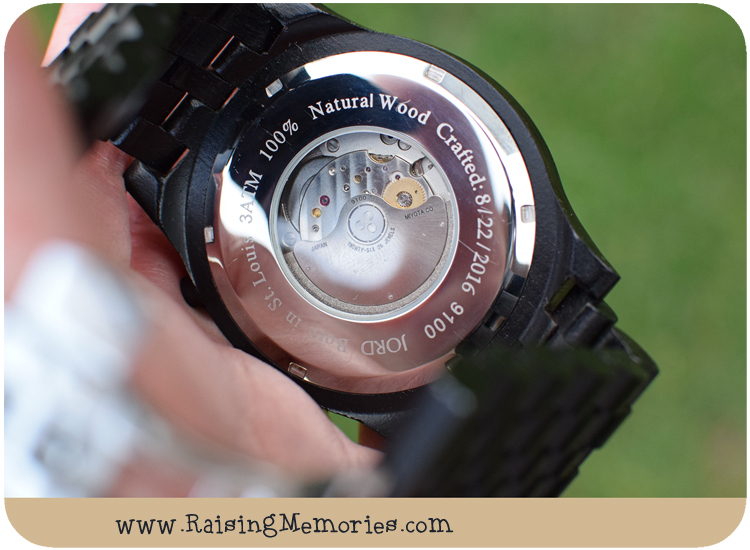 A Gift Idea for Men - & a JORD Wood Watch Giveaway! I know I'm not the only wife out there who has struggled to think of a gift idea for her husband. Men are difficult to buy for! Ken had his birthday a couple of weeks ago and I surprised him with a very unique watch as his birthday gift! 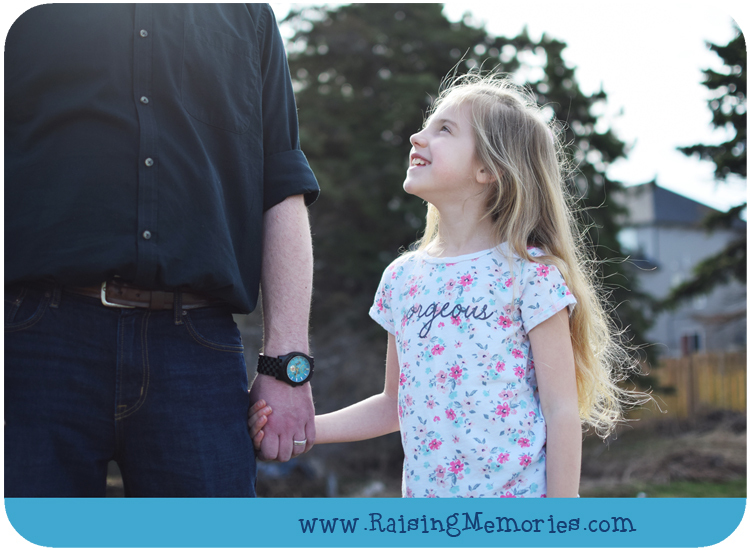 He has always talked about how he'd love to get a really nice pocket watch that could be passed down in our family. He loves the idea of a watch that's all mechanical. This watch isn't for a pocket, but it's definitely unique because it's made of wood, for one thing, but it also has an amazing colourful face and a bunch of really special features. You can see in the photo above, that these watches come in a beautiful wooden box. It even has a little drawer in it where you can keep your wood polish. The boxes can even be personalized with an engraving. In the photo below, you can see that the watch face has a section for the month of the year, the day of the month, the day of the week, and a 24 hour clock! 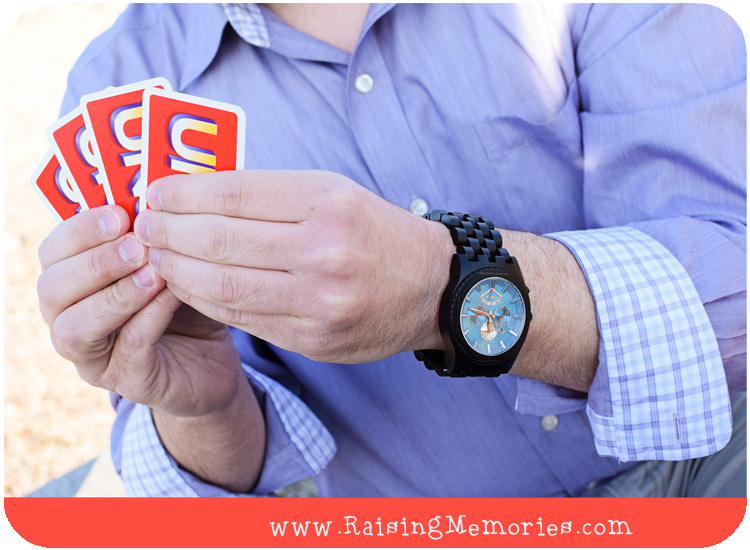 One of the things that we thought really made this a cool watch is that it self-winds! It shows you how the power reserve is doing on the face of the watch. looks like- we thought this was pretty cool, too! You can see the mechanism through a little window. 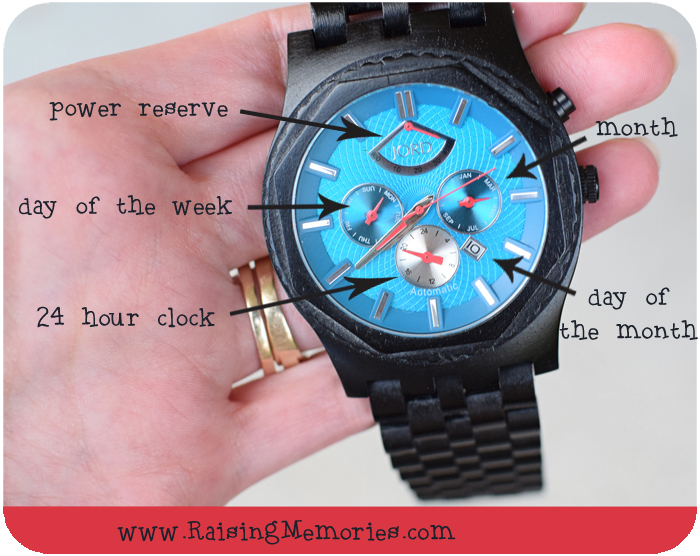 Some of JORD's watches can be engraved on the back but the Sawyer isn't one of them- I guess this is why! I knew I had done well when Ken told me that his desire for a pocket watch had actually disappeared because he felt like this watch fulfilled that desire for a collectors timepiece! 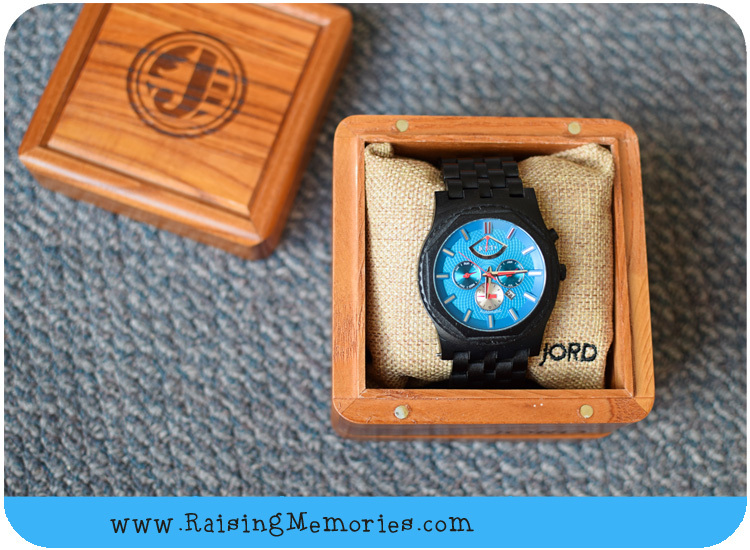 One of you will win $100 USD to put toward the watch of your choosing from JORD! AND although one lucky person will win, everyone will receive a consolation code with $25 once the contest ends! Just Click This Link to enter the contest! Contest closes April 23rd, 2017. Disclosure: Product was provided to facilitate this review. All opinions shared are, as always, my own. I just love this watch. I have a pair of wood sunglasses that I adore. These are great. That's so cool! I have seen wood sunglasses before and wondered about them. I don't see them in stores though, and it's hard to buy glasses online! Hi Heather! This is such a beautiful watch! I must admit that I have myself a gorgeous JORD Wood Watch and I love it! Yes, I'm not surprised- they're so cool! Love the attention to detail of this watch. And the bright colour of the face really makes it pop. This is an awesome watch!